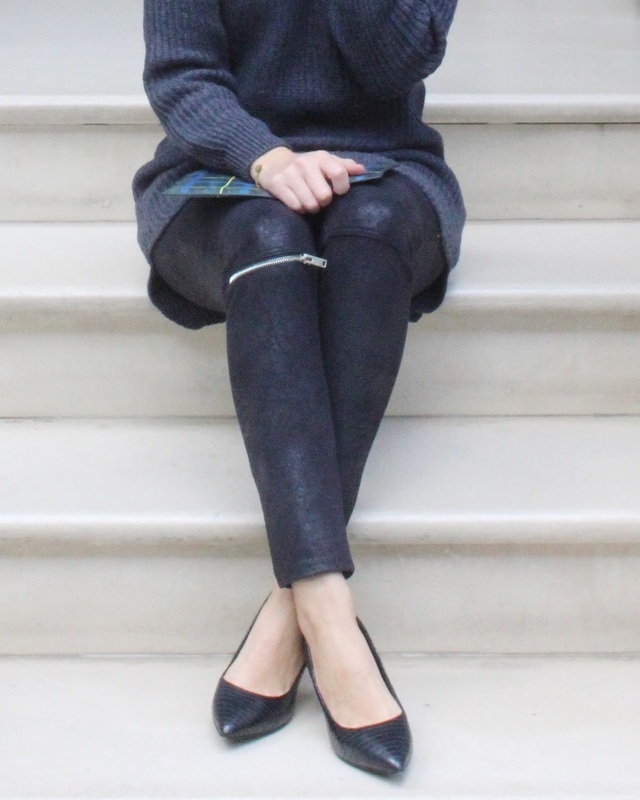 This knitted jumper/dress is perfect for days like today and to make this look a little more polished I've added this gorgeous mid-heel shoes. 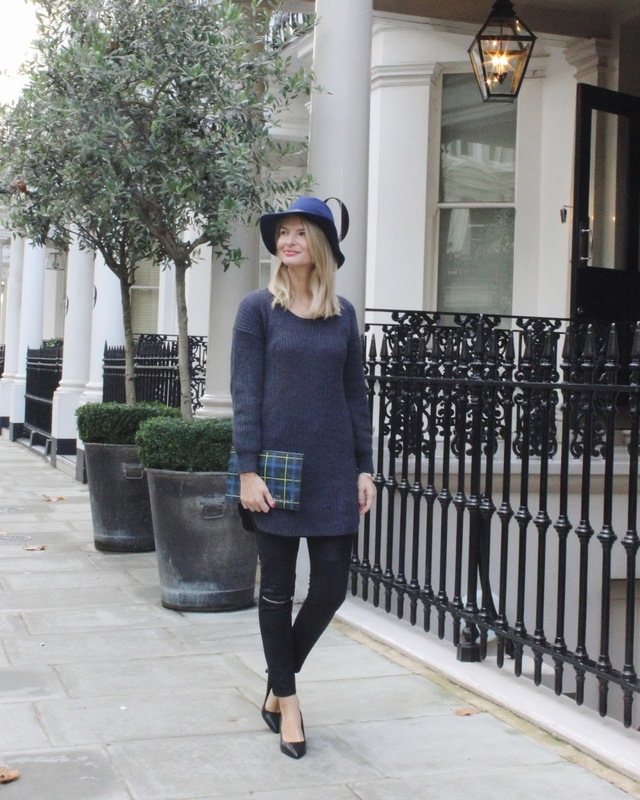 To add a little colour to my outfit I've added my beloved fedora hat and this cool tartan printed clutch. 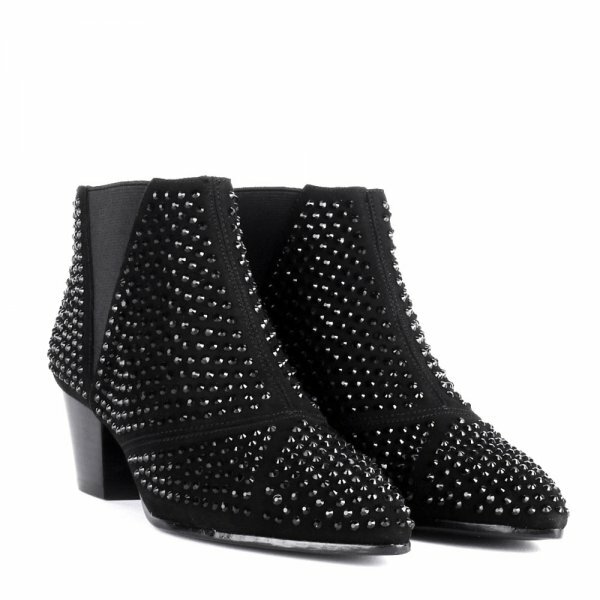 A girl can never have too many shoes and I'm already dreaming about my next purchase - how gorgeous are these studded boots - shop them here.